”We are not bringing together states, we are uniting people”- said Jean Monnet in 1952. After more than sixty years since his assertion, raising the feeling of common European identity and involving citizens in the EU public affairs are still great challenges for the European integration process. 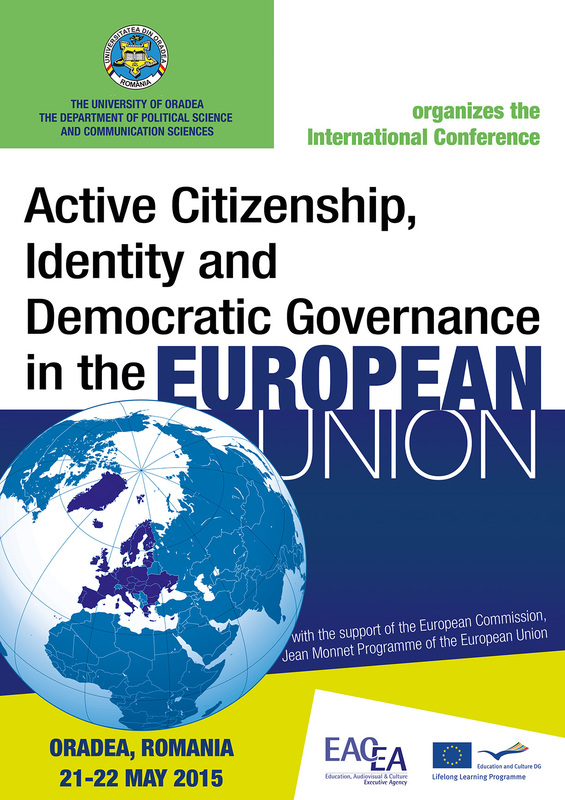 The conference aims to address these challenges, exploring the topics of identity and participation in the European Union from a multidisciplinary perspective, offering the possibility of interaction between academics, researchers and other professionals. 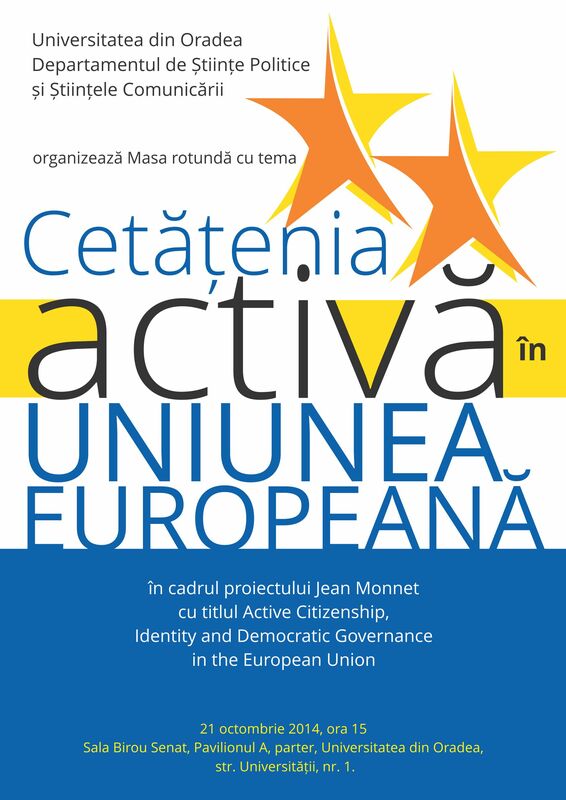 From our point of view, the active citizenship is a key element for strengthening the cohesion and the development of democracy, for fighting against intolerance, racism and xenophobia and, at the same time, is a tool for enhancing European identity and promoting the identification of European citizens with European Union institutions. A well-functioning democracy is as a two-way street. It draws on the input of individuals, groups and organisations and in turn it encourages and empowers people to become more engaged when they realise that they can make a difference. Active citizenship is more than casting a vote every few years. It strengthens the citizens’ trust to institutions and contributes to social and economic development. At the same time, the formation of a European demos with a collective identity is one of the preconditions to improve the democratic legitimacy issues of the European Union. In the context of subsequent EU enlargement waves and increased cultural diversity, one might ask whether there is sufficient commonality in the Europeans’ perceptions regarding the EU project to substantiate a collective identity. 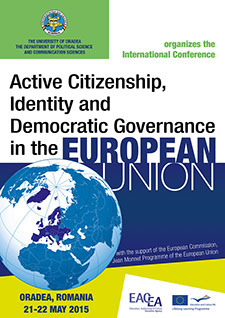 The conference tries to offer a new perspective in approaching the European integration process, to contribute to a deep understanding of the European integration phenomenon, through presenting and evaluating the prospect of building European identity and the potential for increasing participation in the EU democratic process. 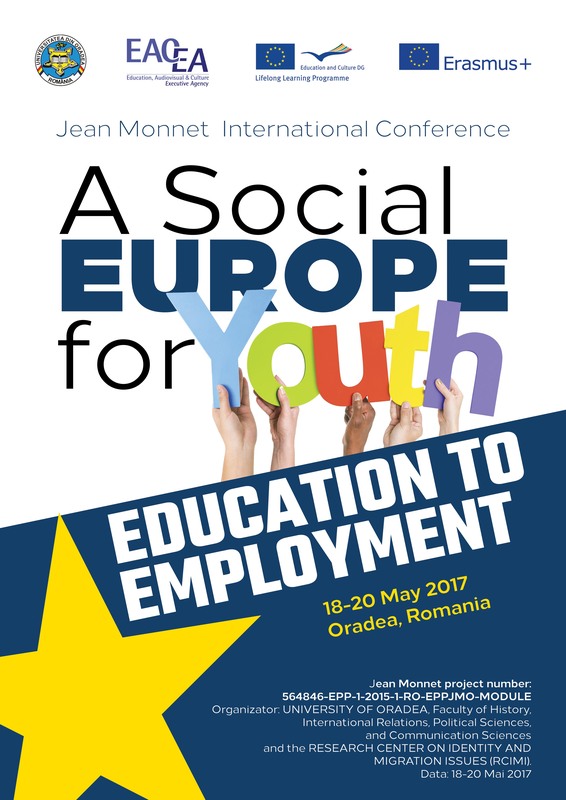 The first part of the conference will take place in plenary format. 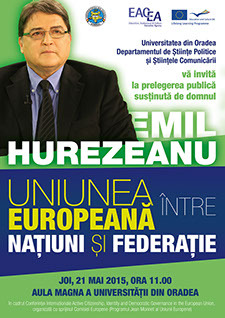 The keynote speaker will be Mr. Emil Hurezeanu- writer and journalist. Sixteen papers will be chosen on the basis of abstracts submitted (four for each topic) and four invited papers. The organizers will approach a publisher after the notification of paper acceptance, and intend to publish an edited book of selected papers within 12 months of the date of the conference. 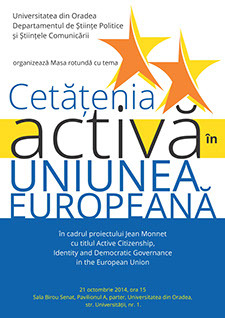 The conference is organized by the University of Oradea, Faculty of History, International Relations, Political Sciences and Communication Sciences and the Research Centre on Identity and Migration Issues (www.e-migration.ro) , as an activity within the Module Jean Monnet “Active Citizenship, Identity and Democratic Governance in the European Union”. There is no participation fee for the conference. Accommodation and meals during the conference will be paid by the organizers for one presenter of each accepted paper. There are no available funds for travel costs.